Here’s the Summary for September 8, 2014 (for previous summary, please see Summary for September 5, 2014). 1. We see an upleasing picture: Russian troops and local terrorists in Donbas are using the ceasefire for a regrouping of their forces. They calculate the weaknesses in the defense of Ukrainian troops (including during reconnaissance) and move their units into these areas. There are constant attacks on the positions of the Ukrainian Army and National Guard. All this is being done under the guise of shrieks by the Russian propaganda that allegedly the Ukrainian troops grossly violate the truce, and the terrorists, on the contrary, firmly adhere to it. Given the fact that our troops failed to create a “full” line of defense by the beginning of the armistice, the picture is not one of delight–[we] can fully expect very unpleasant surprises. Although, as we are assured by the ATO headquarters, the situation is under control. 2. It’s also bad that while the insurgents appear almost as pacifists on the pages of the Russian media, in reality they absolutely openly announce that there can be no truce. In particular, the so-called “people’s governor of the DNR” [Donetsk People’s Republic] P[avel] Gubarev said on behalf of the terrorists, “we don’t give a damn about such ‘peace.’” And this is despite the fact that only recently the leadership of insurgents bleated about exactly the opposite, and they did show up at the signing of the Minsk protocol. “Regarding the agreement signed in Minsk. Are you afraid of a piece of paper signed by oligarchs? Now there is a debate–has Gubarev actually rebelled against Putin, who allegedly called for the peace? This is nonsense. The fact of such fickleness, as well as the fact that terrorists, by supporting the ceasefire did not comply with it since its very beginning, testifies to the fact that there is nothing to negotiate with the “DNR” and “LNR” [Luhansk People’s Republic]. Everything is decided in Moscow, which is determined to go to war–as evidenced by the actions of the Russian troops after the beginning of the armistice. But Putin’s wards in Donbas don’t know themselves, what type of order comes from the Kremlin boss in the next minute. And upon receiving this order, they rush headlong to implement it–the thought about their own, to put it mildly, impermanence, doesn’t burden these bright minds. However, it is scientifically proven–at minimum, one should have a brain for the emergence of thought [processes]. 3. The CHESNO movement reported today: six current MPs from the Party of Regions are crawling back to Parliament again. They are running in the same districts as they got their parliamentary seats in, in 2012 (this concerns only those nimble Regionals whose data have already been posted on the CEC [Central Election Commission] website, [but it’s] pretty clear that others will do the same at a later time). Among these unsinkables are such personalities as the well-known Serhiy Kivalov named “Serezha–Pidrakhuy” [Ed. Note: translated as “Serezha–Do count up”] or an author of the controversial bill criminalizing libel, Vitaliy Zhuravsky. In short, the cream of the nation, which for some reason were not taken to Rostov by [Viktor] Yanukovych [runaway Ukrainian President]. I don’t know how to react to this news. What kind of lustration can we talk about, when Yanukovych’s henchmen, without whom there could be no question of his dictatorship, “keep steering” and are going to continue to “steer” the country? This is some type of phantasmagoria–it creates an impression that Ukraine is not going to get rid of its status as a theater of the absurd. It is only unclear as to why Putin needed to invade–with such an approach, we will skillfully and quickly collapse the state from within, without any outside assistance. 1. Ukrainian President Poroshenko announced that since the beginning of the so-called ceasefire a large number of Ukrainian captives have been released. Yet before the announcement of the armistice the security officials did manage to demonstrate a feat–they put the names of prisoners from different agencies together into a single list (which they were unable to do because of red tape since April; every state agency managed their own employees). This work, which is being done by the interdepartmental center supervised by the SBU [Security Service of Ukraine], continues. We very much hope that at least one positive will come out of the “truce”–namely, that none of our guys who got into the paws of terrorists and Russians will be forgotten, and they will all go home. The situation is worse with the civilian hostages of terrorists. There is information only about those [individuals] whose families have appealed to law enforcement agencies or the SBU. But this is obviously not a complete list of those who truly were captured by the insurgents. 2. And another statement by Poroshenko. 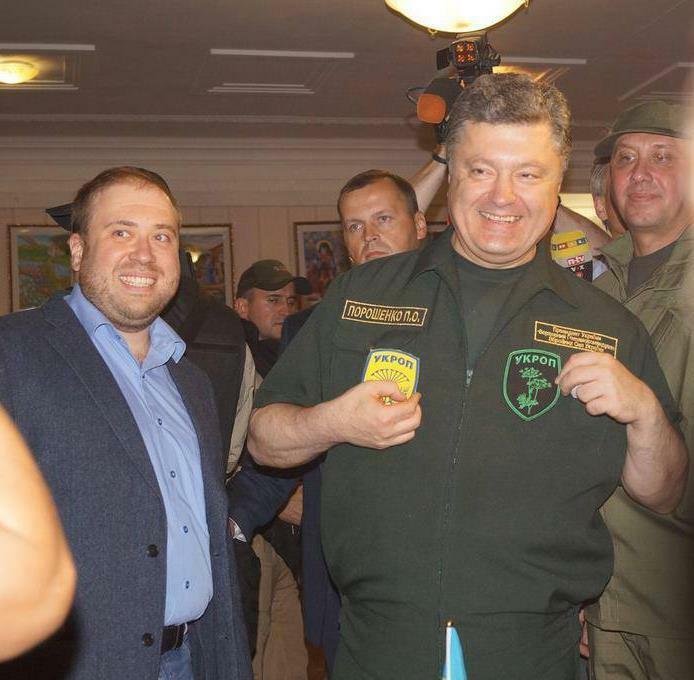 During a meeting with the servicemen in Mariupol today, he promised that those responsible for the deaths of our guys under Ilovaisk would be identified and punished. “The causes of the heavy losses will be carefully studied and analyzed to ensure that they are not repeated in the future,” he said. An encouraging statement. Unfortunately in reality, as of today, no single military commander above the position of battalion commander has been held accountable for the mistakes that cost the lives of many of our soldiers and officers. Although there are plenty of facts proving that those [officials] in posts much higher than unit commanders need to be investigated. As long as the government doesn’t hold people in uniforms accountable, regardless of the stars on their epaulettes, the army will not be able to learn from its mistakes. 3. In Moscow, a nationwide peace rally in opposition to the aggression of Russia against Ukraine will take place on September 21. Reporting about this, the organizers of the rally said they expected no less than 50,000 people to participate in the protest. Well, it’s a good reason to count the number of Russians who have remained human in a country of total zombification and hatred. There is a reason to hope that a star of freedom will sooner or later rise over Russia. And the fact that there are Russians who, by not making a deal with the devil, bring this hour [so much] closer, makes [me] happy. 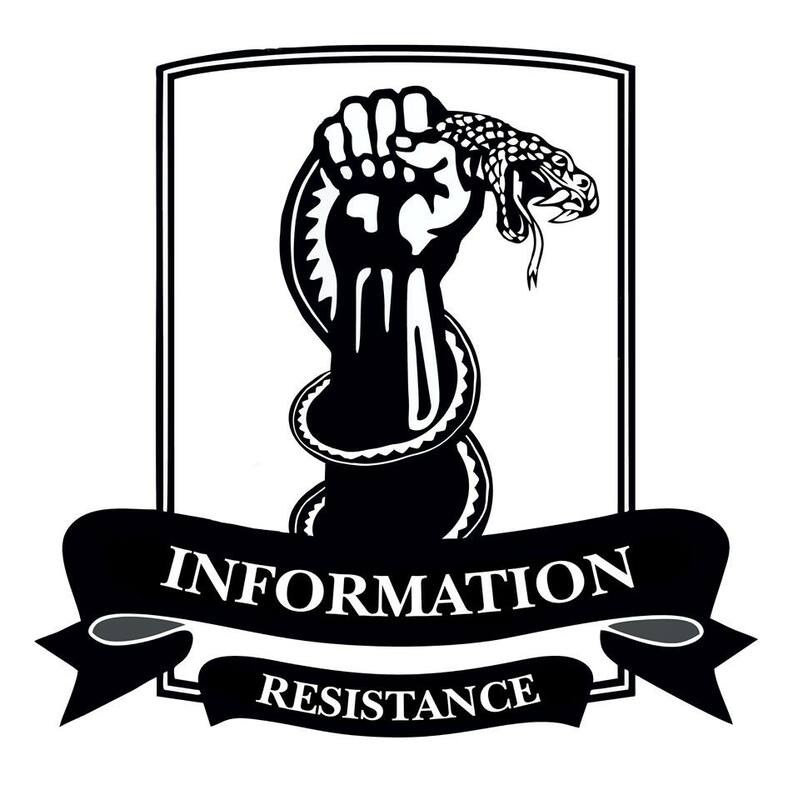 This entry was posted in Dmitry Tymchuk, English, English News, Pictures, South&Eastern Ukraine, War in Donbas and tagged #ArmUkraine, #RussiaInvadedUkraine, #SaveUkraine, #UkraineUnderAttack, Dmitry Tymchuk, Information Resistance, Ukraine. Bookmark the permalink. With thousands of Russian citizens turning out captured, killed, wounded and missing in Ukraine the truth of Russia’s involvement in Ukraine is starting to become obvious to the Russian people. How can Russian people tolerate the fact that their young men are being sent to kill or die in an undeclared war that violates the laws of the land? I have a feeling that the planned protest on September 21st is going to be the beginning of many such protests. Ukraine is becoming Putin’s Afghanistan. Let us hope so. But i do sadly believe, that the dictator now has such a firm grip on the Russian people, that they simply do not dare to do anything about it.